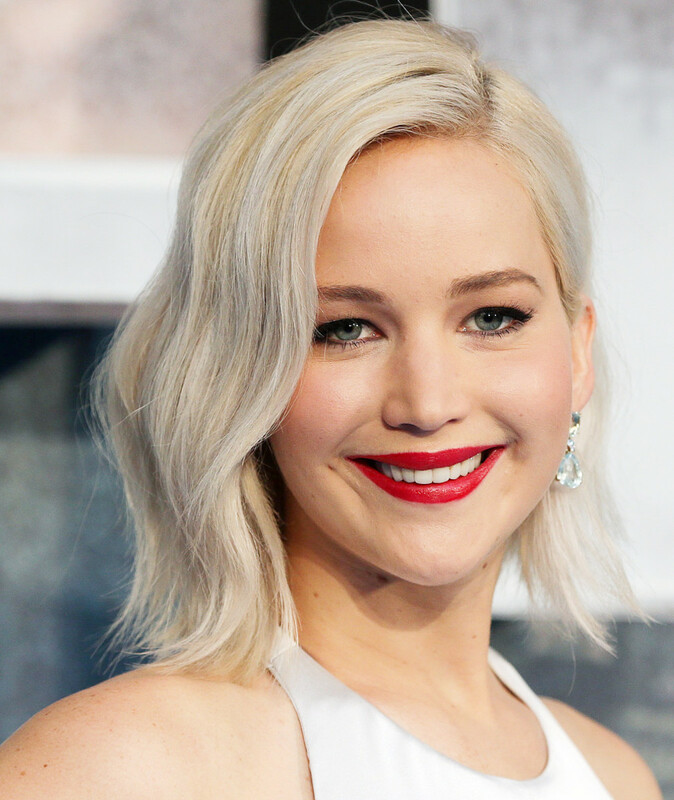 DO YOU KNOW WHO'S CUTTING AND/OR COLOURING YOUR HAIR? How to avoid mishaps and injury at your local hair salon. Over the years I&apos;ve heard salon horror stories that range from chemically burned scalps to cuts and nicks from a stylist&apos;s scissors to hair fried so badly it breaks off in chunks. Always the first thought is how could such disasters have happened? Aren&apos;t stylists and colourists trained in how to use their tools and chemicals properly and safely, without risking themselves and the person in their chair? Then what recourse does a traumatized client have? In Ontario, we have a regulatory body called the Ontario College of Trades. A professional organization that "protects the public by regulating and promoting the skilled trades," the College ensures that anyone practicing a skilled trade, such as "hairstylist" (it includes cutting and colouring), is doing so legally and with the appropriate training required by this province. Among other things, the College issues certificates of qualification and maintains a public register for members in good standing. Did you know that in order to cut and colour hair legally in Ontario, your stylist and colourist need to be licensed? It&apos;s not enough to be a self-taught prodigy. Superstar or not, he or she has to have attended an accredited school for 480 hours for training in theory, technique, safety and sanitation when it comes to handling the tools of the trade, including the chemicals involved in changing hair texture and colour. In addition to 480 classroom hours, to your stylist and colourist has to have completed 3,020 hours of apprenticeship in a professional salon. During that apprenticeship, hairstyling-school graduates get real, practical experience with a variety of clients and gain on-the-job training in safety, sanitation and professional protocols from the wash station to the colour bar to the chair. The more nuanced phase of a new stylist/colourist&apos;s education, it includes how to consult properly with a client about possible allergies, medical concerns and chemical sensitivities; how to clean, sterilize and store tools and maintain cutting stations correctly; how to drape the client and protect eyes and exposed skin from irritation; how to work with hot tools without burning the hair and the skin, and so forth. When it comes to colour, although home kits use the same pigments, the chemistry is different, more complex at the salon level in order to afford the professional colourist more control and flexibility. That requires careful training in how to use and combine those chemicals correctly, as well as how to apply them with the proper safety measures. 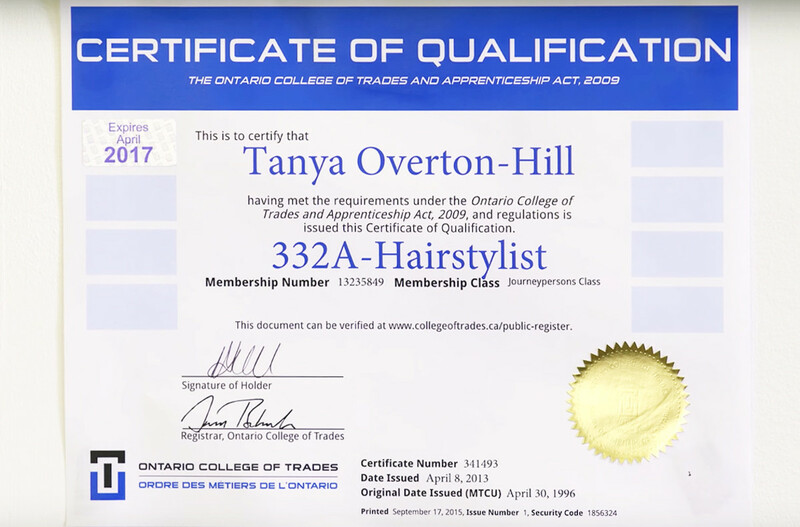 An example of an Ontario College of Trades certificate that shows your stylist is legally qualified to practice in this province. After what adds up to 3500 hours of in-school and in-salon training, new stylists and colourists have to write an exam before becoming licensed to work legally in Ontario. They also have to become members of the Ontario College of Trades; it&apos;s a compulsory membership by law for the skilled trade of "hairstylist," and a smart professional move because the College offers a public register of members in good standing. "In good standing" means fully trained and legally licensed to practice their trade, and part of an organization that dedicates itself to ensuring the safety of their clients. 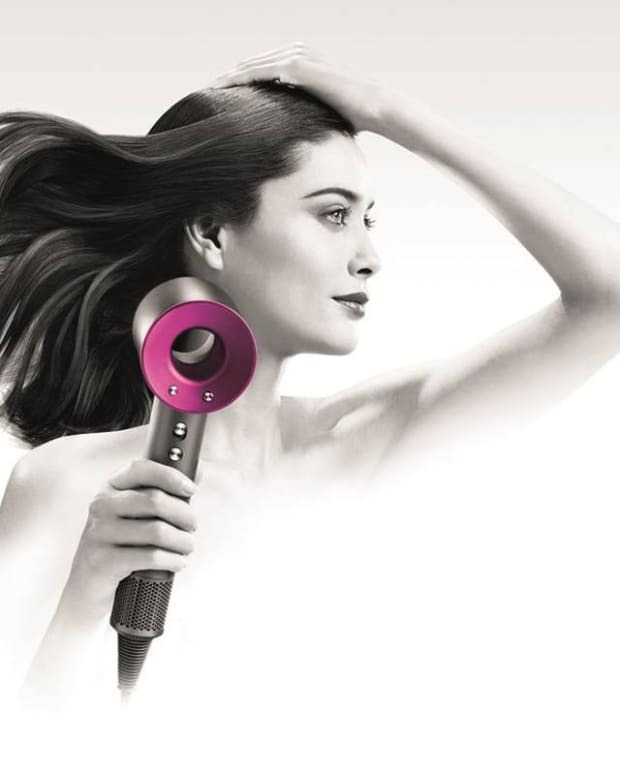 So what recourse do you have if you&apos;ve had a salon disaster? First, you can check the Ontario College of Trades public register before your appointment to confirm that your stylist/colourist is a member in good standing. Second, at the salon you can ask your stylist/colourist to show you his or her membership ID card or certificate. You need to know you&apos;re working with a well-trained, licensed individual who can legally work in this province. That&apos;s your first and most important step in avoiding a catastrophe. If, God forbid, a mishap occurs – you get cut, an infection or a chemical burn, or your hair suffers unaccountable damage – you can report the culprit to the Ontario College of Trades. While the College may not be able to get you monetary compensation, they have an enforcement department to investigate complaints and incidents. 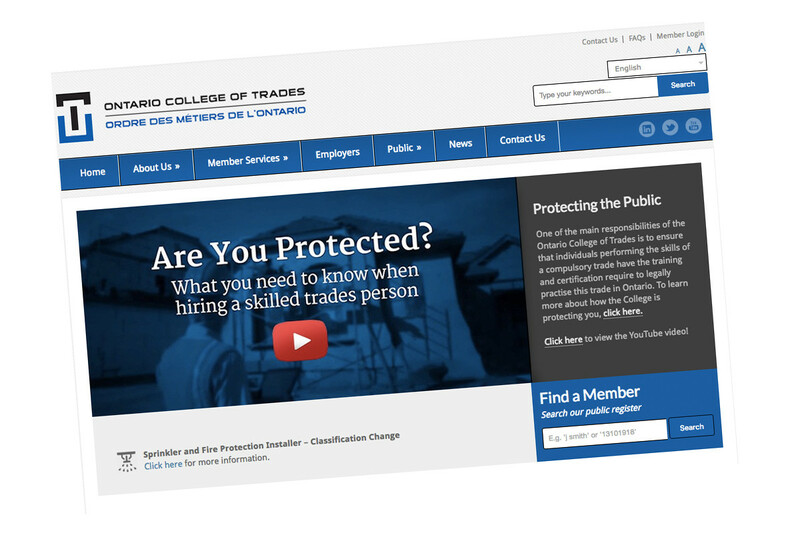 If the College issues charges, the business and individual(s) charged will appear on the Ontario College of Trades website in the "Public Advisories" section. If you live outside of Ontario, you&apos;ll have to ask some questions at your salon to determine whether there&apos;s a similar regulatory body in place. Have you ever experienced a salon disaster? How did you deal with it? Was there an organization available to help you?